There are many uses for scales in a laboratory setting. Depending on the research being conducted, the items to be weighed might range from very small to very large. Therefore, a variety of weighing equipment might be necessary. The types of scales that are used in laboratory settings need to be precise, dependable, and affordable. Although some operations conducted in a laboratory setting might not be as important as others, the fact remains that laboratory procedures generally require very accurate measurements. The scales that are designed to be used in these laboratory procedures need to be precise. This should include the capability to calibrate the scale when needed. However, the process of constantly having to calibrate a scale can waste a lot of time that would be better spent doing other things. So, while the scale should have the ability for calibration, it should also be precise enough to only require annual calibration. 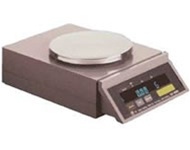 Laboratory scales should carry measurements out to very precise decimal places. Many laboratory procedures will require measurements that are very precise. One of the most important qualities needed in a laboratory scale is dependability. Some of the procedures that are carried out in a lab environment are time sensitive. An entire experiment could be ruined if a researcher needed to wait for a new scale because the one in the lab was inoperable. Laboratory scales should be made of durable and high-quality materials. The craftsmanship used in the construction of these scales should be of the highest quality. A researcher needs to feel confident in every scale s/he uses. If they pick it up to use for an experiment, it should work. Dependability is an important quality for laboratory scales. Another important quality is affordability. It is true that many laboratories will receive large amounts of funding. It is also true that many experiments will dictate that no expense be spared because of the sensitive nature of the experiments. However, it is senseless for researchers to have to spend more money on equipment than what it is worth. The more money they spend on equipment, the less money they have available for other things. So, a laboratory scale should be affordable. It should be readily available for those who conduct laboratory work, without having to spend a fortune to get it. Some laboratory scales may be used for very mundane procedures. Others may be used to conduct life-saving experiments in the most reputable labs in the world. No matter what they are being used for, laboratory scales need to be precise, reliable, and affordable. At Arlyn Scales, you will be able to find laboratory scales that meet those needs. Our scales are made with high quality materials by people who put pride into their work. Our scales are precise and durable in order to meet the needs of your laboratory procedures while still being affordable. Visit Arlyn Scales or contact us today!